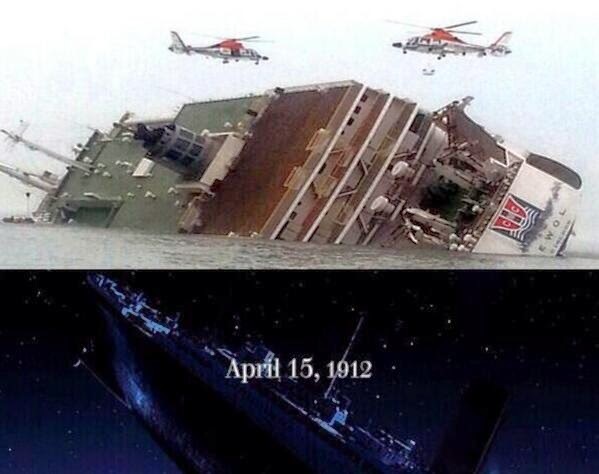 Netizens on Thursday compared the recent South Korean Sewol ferry disaster to the Titanic, which sank almost exactly 102 years ago, on April 15, 1912. The Korean passenger ferry was carrying 475 people on board, most of them high school students, when it sent out a distress signal at 9:00 a.m on April 16, 2014 and sank at a depth of 30 meters, leading to speculation it may have come aground or hit a rock. At least 6 died, 55 injured and 290 still missing in the tragic and could be the country’s worst maritime accident in 20 years. Meanwhile, the TITANIC in 1912 hit an iceberg at 11:40 pm causing it to sink to the bottom of the Atlantic Ocean in less than 3 hours. About 2,200 passengers and crew were on board and 1512 people perished. The wreckage is located about 350 miles off the southeast coast of Newfoundland. 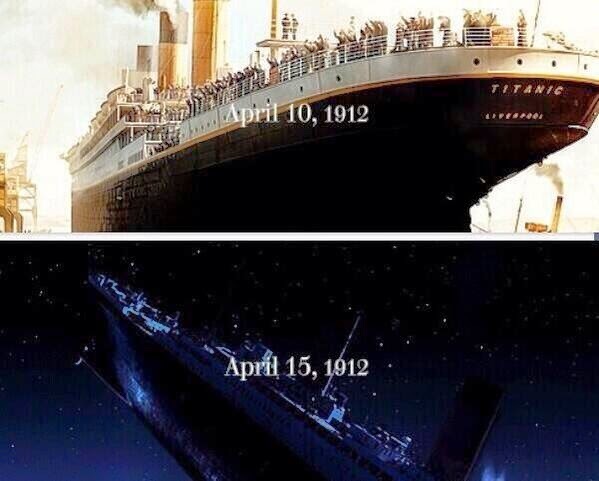 USA Today reports that the sinking of the Titanic has all the elements of a classic tragedy. Overly trusting in their unsinkable technology, the ship's officers sped across the Atlantic on a clear night that ironically made icebergs harder to see. Missing binoculars. So many people, too few lifeboats and a fear that overloading would crack the small craft in half, dumping the passengers into the freezing sea. On Twitter Philippines, '#PrayforSouthKorea', 'South Korea' and 'Titanic' became trending topics since Wednesday afternoon. 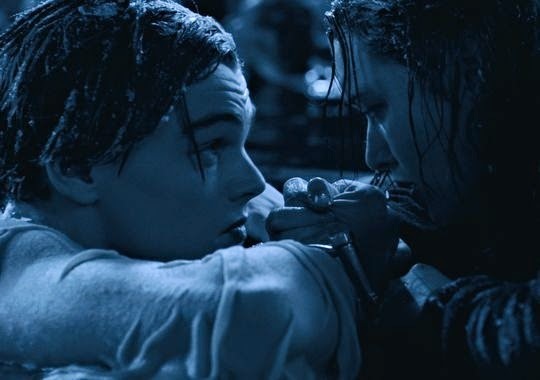 On Star Movies, classic film 'Titanic' was aired on Tuesday and Thursday for the 102nd anniversary of the Titanic.